Replacement: None. We are no longer carrying this Sales Sheet in our catalog. This page is for reference only. This pamphlet is a sales sheet for retailers to use for their retail displays. Have them for customers as informational take-aways. It is 3.50" by x 8.50" and printed on glossy card stock. You can use the file below to print your own. If you don't want to print your own, you can get them from us. 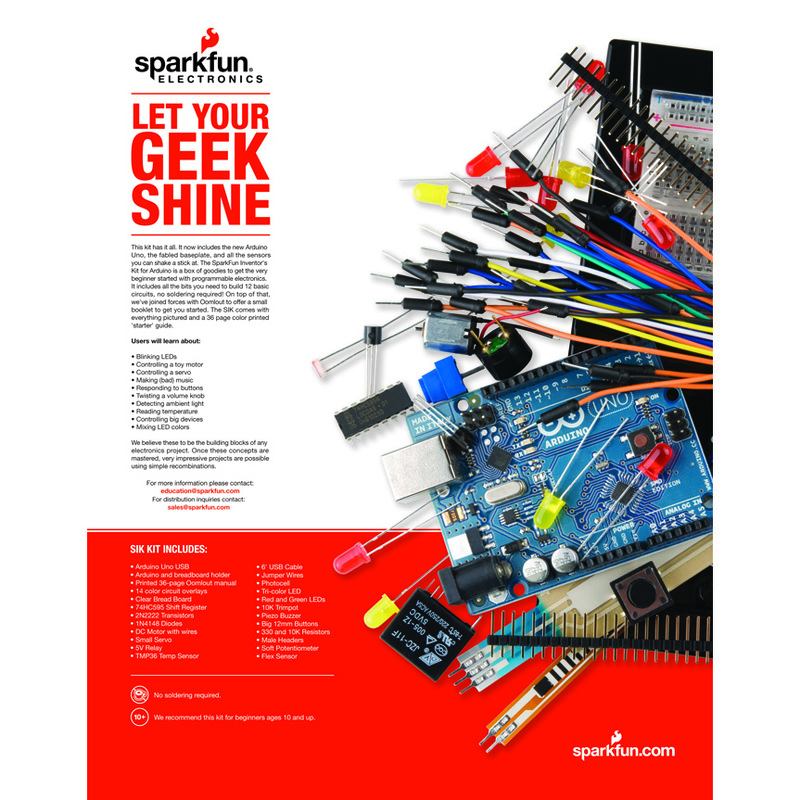 This pamphlet is for the SparkFun Inventors Kit. Is the Uno on the sheet some new version? Because if you look carefully, you will see that ATMega8U2 programming header is soldered, the chip is rotated by 45Â° degrees and the voltage regulator is not the normal package. Also, the EEPROM (or whatever it is) is smaller than on normal UNO. Yes, this is the newest version.